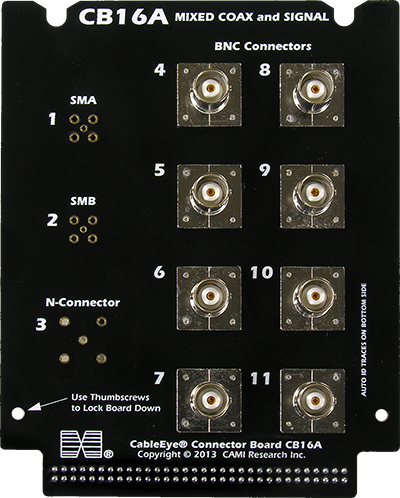 CB16A includes eight BNC connectors for coaxial cables, and open footprints only for SMA, SMB and N-Connector. Note that the SMA, SMB and N connectors are not installed. If you provide this connectors, we will solder them in place and test both boards for a nominal assembly charge. Set of two boards.